Hey Yulife, I have a question, could you bring the wlr pack to curse? Hello there Yulife, or should I say ... Inap! 0.0! Hey there Yulife, I was wondering if the server is still going, if so i would love to join up. My IGN is the_evil_Rooster. Hey, I just wanted to mention that I made a post on the last bit of page 51 of WLR's thread. I hate to go all "NOTICE ME SENPAI" but I've been on enough forums to know how sometimes posts get hidden by it going to a new page right afterwards. 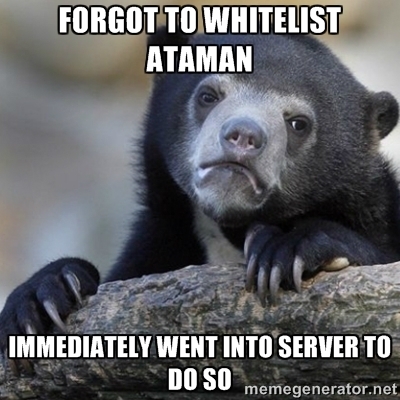 Was hoping you might be so gracious as to consider putting me on the whitelist for your server. I'd love to play with other fans of the pack :D.
No griefing and treating each other with respect and compassion? Sounds like my kind of place! Hope to hear from you! Alright, may I join your server please? I'm not entirely sure what an IGN is and I don't really have one but I'll make one if I need to. Thanks again! Whitelisted ;) Make sure to not grief and keep it civil. Um, hey , sorry to pester but my irc isn't working for me because of some mistake. I would just message them if I could, but if it won't cause THEM to crash, the next time that you're on the server, could you please ask Backspace or Fallen to break the block mixer in my house? Unless that would cause them to crash, if so, I'll just wait till .5 to get back onto the server. Thank you either way for looking at this! Would you be so kind and whitelist me on your server? I won't steal or grief, looking for a server for a long run. Hey Yulife I love this modpack and would like to join you're server. Hi! Could I get whitelisted on the Wanderlust Reloaded Server? This will be my first time joining a Minecraft server and my IGN: adalia8. Thank you. 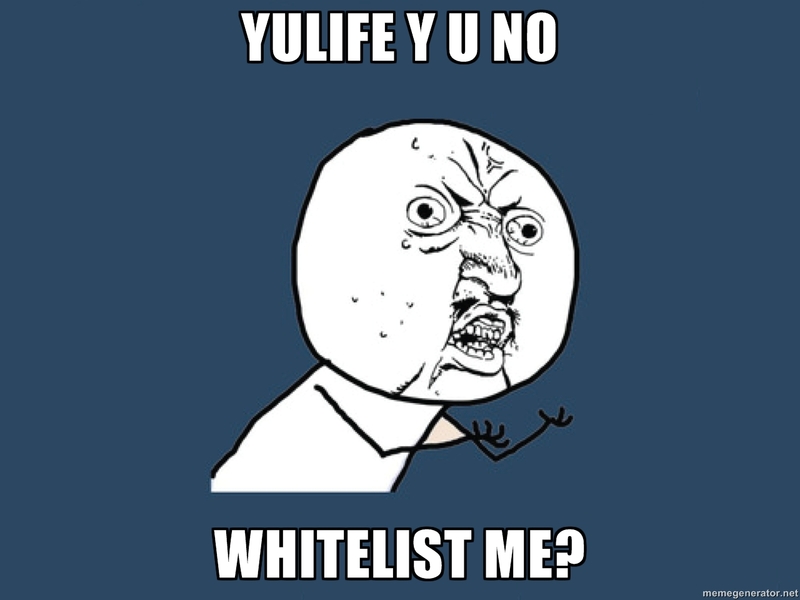 I don't mind waiting to be whitelisted. Whitelisted! And please remember, this is not a server you can grief on (Just to clarify as this is the 1st time you join a server) and griefing will result in a ban. IP is 192.99.35.100:25561 :) Have fun! Thank you! I understand and will keep that in mind. Whitelisted, sorry for the late reply, had a blackout yesterday. Would it be possible for me to get whitelisted on the Wonderlust Reloaded Server? I would love to be whitelisted to the server. It's the Wunderlust Reloaded server right? Our official server is not up at the moment, another public and open server is mc.churroscraft.net. May i be whitelisted to the server? Can I apply/be white listed to the server? Of Course Im Not Going To Grief!! Why would someone grief? It gets them banned, and how would that be fun?